During Ireland’s War of Independence, more country houses were burnt in County Cork than in any other part of the country. June 1921 saw a particularly extensive outbreak of arson attacks on such properties in the north-west of the county, one such house being Warren’s Grove. As its name indicates, this belonged to the Warren family whose main residence a few miles away bore the equally imaginative name of Warren’s Court. More is known about the history of the latter than of Warren’s Grove, which seems to date from the early 19th century. In 1837 Samuel Lewis listed the property as belonging to John Borlase Warren, a younger brother of Sir Augustus Warren, third baronet. Following Sir Augustus’ death in 1863 without a direct heir, Warren’s Court – and the baronetcy – was inherited by the now-Sir John Borlase and, following his own death less than eight months later, his eldest son, another Sir Augustus. Accordingly Warren’s Grove became a secondary residence for the family. 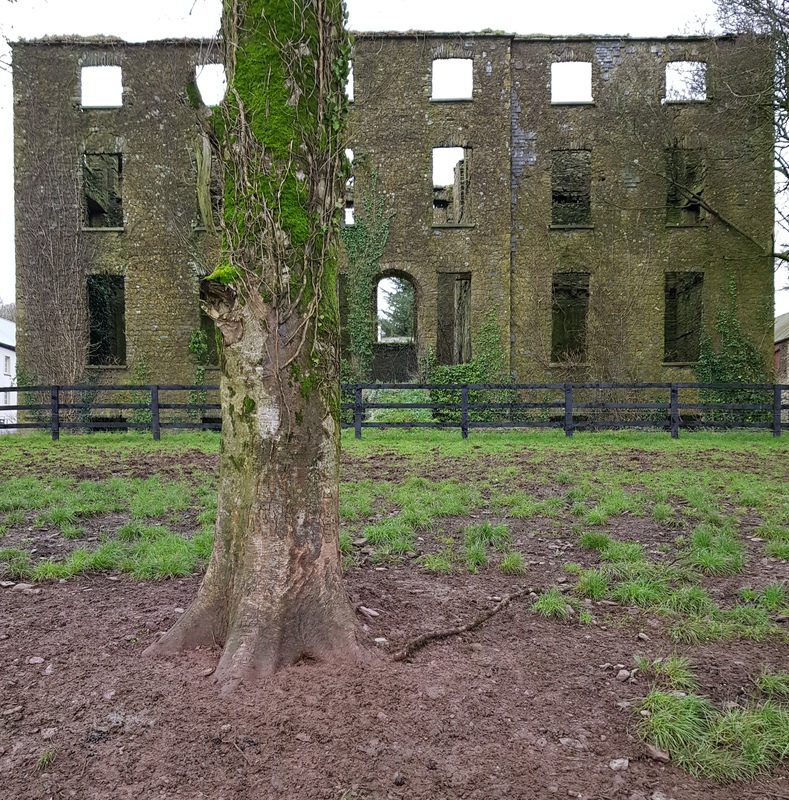 It was burnt by the IRA in mid-June 1921, along with Warren’s Court (and another Warren property in the same part of the world, Crookstown House). Warren’s Court was subsequently demolished, but the shell of Warren’s Grove still stands, the outbuildings in a courtyard to the rear of the house having been converted of late into holiday accommodation.